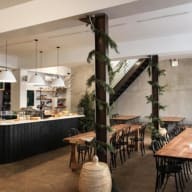 We are a cozy + industrial cafe and catering kitchen located in the South Bronx. We have a passion for seasonal, healthy + delicious food, great hospitality, and gathering community. We would love to host your next meeting, celebration, or creative endeavor!